Open from 8:00am. Food served until 8:30am. Our Breakfast Club is run by Mrs Harrington and Mrs Bates. Food available includes toast with several toppings, a variety of cereals and fruit. There is juice, water and milk available to drink. The school have a variety of After School Clubs available to different year groups. If you have any queries regarding clubs please call the office on 01482 781943. For local childminders and after school child care, call the Family Information Service on 01482 318318. 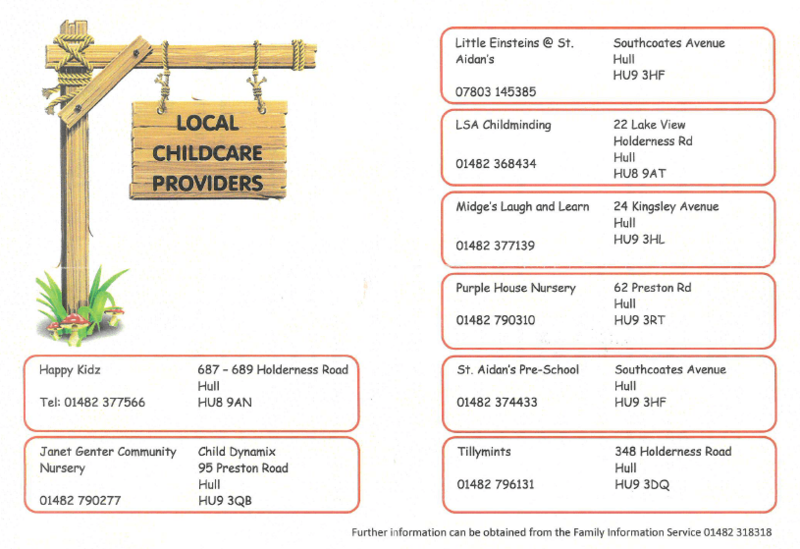 Click on this image for more local childcare options!